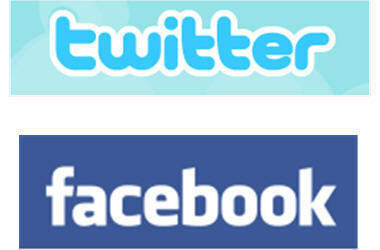 I have heard several people in the past month or so debating the positives and negatives of social media websites (e.g. Twitter, Facebook, etc). Some say they use Facebook (hereafter referred to as “FB”) to make new friends. Some use FB to network their business. Some use FB to keep informed about news and current events. Some use FB to stay in contact with people they know. Is FB good or bad? Useful or useless? I use FB to keep in touch with people with whom I would not otherwise keep in touch. Before I joined FB, I had regular communication (read: at least once a month) with my wife, kids, parents, siblings, and my best friend (this doesn’t count people at church and work). After joining, I now talk to people that I haven’t talked to for years. For that reason, I think it is a good thing for me. 1. Family gets an automatic pass. If you are related to me, I will accept your friend request. 2. If I don’t know you in real life, I will not accept your friend request. 3. If I don’t consider you a “friend,” or at least “friendly” to me, I will not accept your request. So if you’re on my friend list, you are either related to me, or I enjoy spending time with you. If we lived in the same city, I’d probably do stuff with you often. But what about Twitter? I have a Twitter account, which I initially set up so that I could use my phone to update my FB status (so my friends would know things I wanted them to know….things like “Broken down on the side of the road…I-69″ which is an actual tweet of mine). This whole debate reminds me of when I was in college and some friends would stop by my dorm room and ask me what I was doing. I was reading a book (which I enjoy doing), and told them so. They said, ” What are you doing that for? How do you find time to read?” I asked them what they were doing, and they said they were going to play basketball. See, we had the same amount of free time, we just chose to do different things with it. You can say that FB and Twitter are a waste of time FOR YOU, but you can’t say that for anybody else, because they may find them useful. I know I do. FB thanks you for helping to maintain the value of their relational database. RE broken down on hwy 69 – did you consider that instead of whining to the whole world that you had car trouble, it would have been much simpler to just call someone to help you? So Twitter was TMI for TMP. Instead of “Social Media” perhaps such sites should be called something like, “Look At ME” sites… for people who don’t have a real life or real friends? did you consider that instead of whining to the whole world that you had car trouble, it would have been much simpler to just call someone to help you? So Twitter was TMI for TMP. What you call “whining” I call “informing those who care about me what’s going on in a mass media fashion.” Also, I tweeted the news AFTER I had called my wife, my insurance company, and a tow truck, and while I was sitting there waiting for the tow truck to arrive. I had nothing better to do at the time. And Dad, I don’t know if you are being abrasive on purpose, but you are. This is the sum and substance of social interaction: learning what is going on in other people’s lives. Certainly there are people who are attention seekers that don’t pay attention to others lives, but this very behavior is deemed “antisocial.” There are millions of people who use Twitter and Facebook who HAVE real friends and real lives. Your assertion is therefore invalid. And consider the time you spend playing with these sites – why… I bet you could save up enough free time to … ummm… read a book? I am currently reading four books (“Good Calories, Bad Calories,” “Disciplines of a Godly Man,” “U is for Undertow,” and “Little Brother.” One is for spiritual learning, one for nutritional learning, one fiction book on my iPod in text form, and one is an audiobook for when I’m driving. Strangely enough, my social media time doesn’t prevent me from reading. Or have a backyard cookout with REAL people? Just had one at church. Many of my Facebook friends were present. I don’t know why you are so dead set against “social networking technology.” I agree that some people probably spend too much time on FB when they could be doing better things in real life. I agree that some people can be stunted in their social development by thinking that the internet is “the real world” and those people walking by on the street are just using extra oxygen. But I know that in my case, Facebook is a tool that keeps me connected and informed about what is going on in the lives of my family and REAL-LIFE friends. 2. Contest from WGN news that I don’t care about. 3. My cousin likes the Des Moines police. 4. The Cubs are giving away tshirts at an upcoming game. 5. NBC informing me about this missing IU student. 6. Conservative group poll on whether Rep. Weiner should resign. 7. My friend in Minnesota tells me what she’s cooking today (sounds good! ), and that her husband (my other friend) is going on a fishing trip this weekend. They are having VBS this week as well. 8. One of my friends from church is going out to eat with another church lady. 9. FOX informing me about the missing IU student. 10. Rhett and Link put out a new funny video on YouTube. Now only three of those things were from people I actually know, one was devotional, one was comedy, and five had to do with current events. This is because I use my Facebook account both for social interaction and news. I get it: you don’t like Twitter or Facebook. You seem to not worry about blogging, so at least you haven’t totally shut yourself off from internet communication with others. I wish you would rejoin Facebook so you could be in the loop, but I understand that’s your choice.